As one of the UK’s leading Air Source Heat Pump Installers, Project Heating Solutions are committed to delivering Design, Expert Advice and Service to all of our customers. With over 30 years’ experience in the Mechanical, Electrical and Heating Industry, our commitment to providing the best product and service before, during and after an installation is second to none. 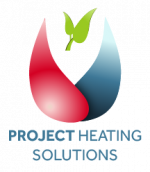 Project Heating Solutions are renewables installers who supply and install airsource heat pumps , and provide access to the renewable heat incentive.